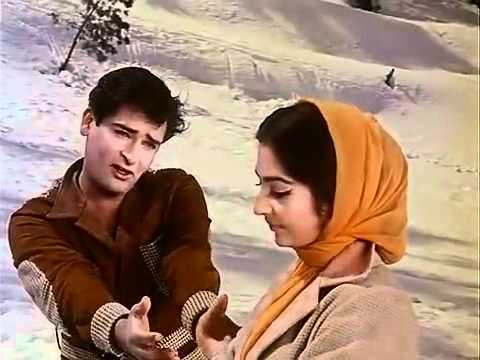 Shammi Kapoor passed away on August 14, 2011. India’s favourite Yahoo star, Shammi Kapoor passed away on August 14, 2011 but even seven years after his death, he is remembered fondly. Not only has his work remained as entertaining as ever, he has also of late started attracting the attention of academics and critics who have come to recognise his significant contribution towards the making of what we today know and call the ‘quintessential modern Bollywood hero.’ Reams have been written about how before Kapoor’s Tumsa Nahin Dekha, a 1957 musical hit, the Bollywood hero sang – but never danced. At least, not with as much gusto and rebellious freedom as Kapoor did. 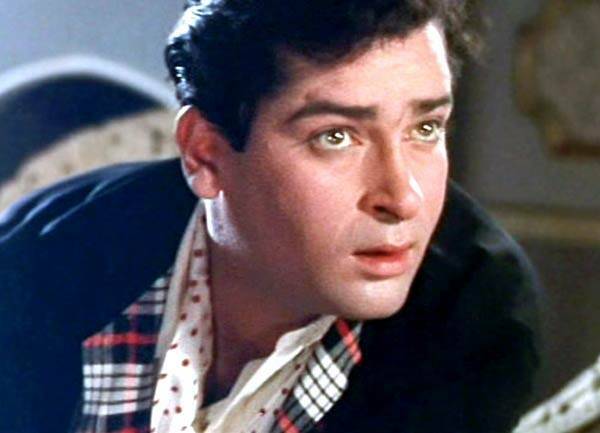 “Shammi Kapoor changed the image of the Hindi film hero from sad and brooding into one who revelled in singing and dancing,” filmmaker Subhash Ghai once said. Before Kapoor, there was the equally debonair Dev Anand whose loose-limbed, rubber-band body movements made him a much-loved romantic hero. Together, they transformed the idea of romance. But could Dev Anand dance with such gay abandon as Shammi Kapoor? We will never know. 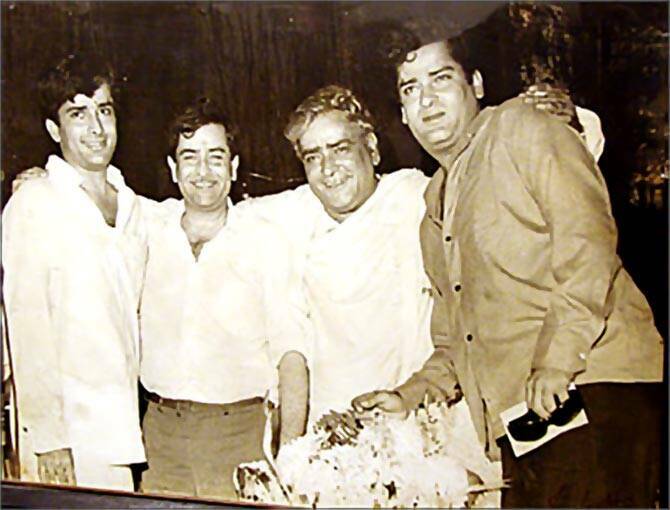 Belonging to the famous Kapoor clan, the First Family of Bollywood, he was billed as the Rebel Star by the press of the time, and for a good reason. The young Kapoor was rebelling against so many established institutions and norms – firstly, against the hegemony of the Big Three. He arrived at that critical moment in Hindi cinema history when it was impossible to dislodge the ruling triumvirate, namely Dilip Kumar, Dev Anand and his very own elder brother, Raj Kapoor. He was also rebelling against the Kapoor family itself. No Kapoor before him had taken the route of dance. Father Prithviraj Kapoor was the thespian, a serious man of theatre and a Bollywood favourite for larger-than-life and heroic characters (think Sikandar and Mughal-E-Azam) while Raj Kapoor was fully immersed in the nation-building exercise. Shammi Kapoor wavered from this track, probably also since right from his first film, Jeewan Jyoti in 1953 he was bearing the insult of being just another bad copy of Raj Kapoor. He consciously avoided doing the socialist-themed films that his more famous brother, whom he fondly and respectfully called “Rajji,” was spearheading. In the King of Romance, Ranbir Kapoor, the star’s grandnephew, piped in, “Music was a big theme of his life. Even as an actor, if you see his dialogue he would say it in a musical style. He used to say every line like a symphony.” Kapoor’s lifelong passion for music had its roots in his childhood. He was believed to have received classical music training as a child. And then there were the spontaneous rhythms of theatre, a family business into which he was inducted by his father Prithviraj and encouraged by brother Raj. While children of business families grow up hearing “What are you doing with your life? Come to the shop/office from today” the elder Kapoors goaded the young Shammi with, “What are you doing? Come to the theatre.” Prithviraj Kapoor had established Prithvi Theatre and the future Yahoo star played Bharat in the play Shakuntala. In an interesting anecdote, Kapoor credits his Western music influence to Nargis, one half of the RK classics like Barsaat, Awara, Shree 420 and of course, Mehboob Khan’s epic Mother India. Kapoor was a teenager when Nargis was shooting with Raj Kapoor for Barsaat. Kapoor Senior’s next production was Awara and Nargis wanted to be the heroine in it. She asked Shammi to “pray” for her that she bags the role. “If I get Awara I will give you a kiss,” she told the blushing young boy. When she finally bagged Awara and met Shammi Kapoor on the set, she screamed, “No way am I going to kiss you.” Kapoor had all grown up by then. Instead, she took him to a music shop in Fort, Bombay and pampered him with a gramophone player and 20 records of his choice. Thus began Kapoor’s fascination with English music. The English music sensibility helped transform his image after a string of debacles. Kapoor was grudgingly selected for Tumsa Nahin Dekha, a film that first-time director Nasir Hussain had originally conceived for Dev Anand. The debutant director’s hesitation was justified, given Shammi Kapoor’s enviable track record of flops. 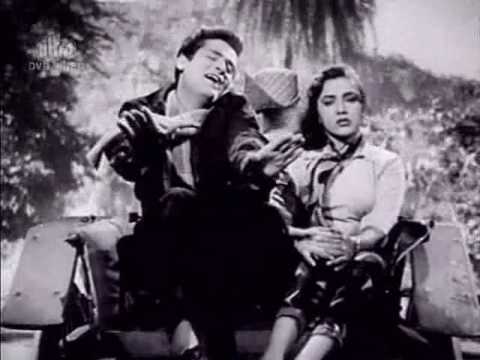 As a last chance, Kapoor told his then wife Geeta Bali, “If this film flops, I will quit cinema.” Finally, Tumsa Nahin Dekha of 1957 became his first breakout hit and thankfully, Kapoor didn’t have to quit Bollywood. His gamble to model himself on Elvis Presley and James Dean paid off. Arguably, it was also the advent of rock-and-roll and the pervasive youthful energy that embodied the Swinging Sixties which helped propel Kapoor into a major star. Music fired his personal life, too. It helped him woo his wife Geeta Bali, who was a bigger star than him. Geeta Bali and Kapoor were shooting for Rangeen Ratein (1956) in Ranikhet, a hill station in North India, when they fell in love. A fan of pahadi songs, Kapoor would regale his lady love with his lyrical style of romance. Composers who worked with him have said that Kapoor took his music very seriously. His songs were – and still are – a rage. Stories abound of how he would attend all his song recordings. Mohammed Rafi adjusted his voice to match the Shammi Kapoor persona – a more youthful, delinquent and livelier voice that would complement the energetic dance style of the Junglee star.